Acute and chronic vulvar conditions are noted in women throughout their life span. Several of these conditions, such as vulvar infections and intraepithelial neoplasia, have well-defined clinical pathways of treatment utilizing pharmacologic interventions that have been vetted through clinical trials. Others, such as vulvodynia, a chronic pain condition that has been recognized for over 100 years, continue to perplex clinicians regarding best options for pharmacologic intervention. 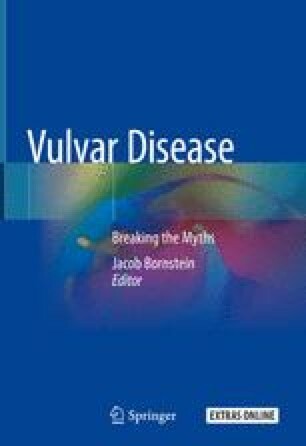 This chapter will review the spectrum of pharmacologic interventions used in various vulvar conditions, with an emphasis on the ones used in the management of vulvodynia. Vulvodynia will be highlighted as it is a vulvar condition clinicians treat with scant data from clinical trials.